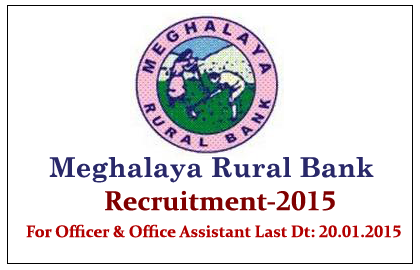 Meghalaya Rural Bank has announced openings for the post of Officer Scale-I and Office Assistant (Multi Purpose). Candidates those who are qualified in the RRBs CWE conducted by IBPS held on Sep/Oct 2014 can apply for this post before 20.01.2015. More details regarding this recruitment were mentioned below. Candidates should qualified in the RRBs Online Exam conducted by IBPS in September/October 2014 and score marks as mentioned in the link given below. Candidates will be selected on the basis of the performance in the RRBs Online Exam Conducted by IBPS in Sep/Oct 2014 and personal interview. Eligible Candidates can apply for this post through online by clicking the link given below. Candidates cannot edit their application after submission.